The men currently have immunity from criminal charges over the war after a 2016 ruling said attempting to bring any prosecution would involve revealing details kept under the Official Secrets Act. Al Rabbat’s lawyers asked London’s High Court for permission to seek judicial review in an attempt to get the Supreme Court, now the highest court in the land, to overturn a ruling by the House of Lords in 2006 that there is no such crime as the ‘crime of aggression’ under the law of England and Wales. Lord Thomas of Cwmgiedd, the Lord Chief Justice, and Mr. Justice Ouseley, dismissed the general’s application on Monday, saying there was “no prospect” of the case succeeding. Michael Mansfield QC, appearing for Al Rabbat, argued that the Chilcot Inquiry published last year showed the prosecution of Blair would be justified. An order declaring Blair’s immunity against any charges should therefore be overturned, Mansfield said. The 2.6 million-word Chilcot report, which examined the first eight years of the war, said Britain chose to join the invasion of Iraq in 2003 before peaceful options for disarmament had been exhausted, alongside former US president George W. Bush, whom Blair had already pledged to support. It added that the UK’s involvement in Iraq was based on what soon became obvious was a false pretext that Saddam possessed weapons of mass destruction (WMD). 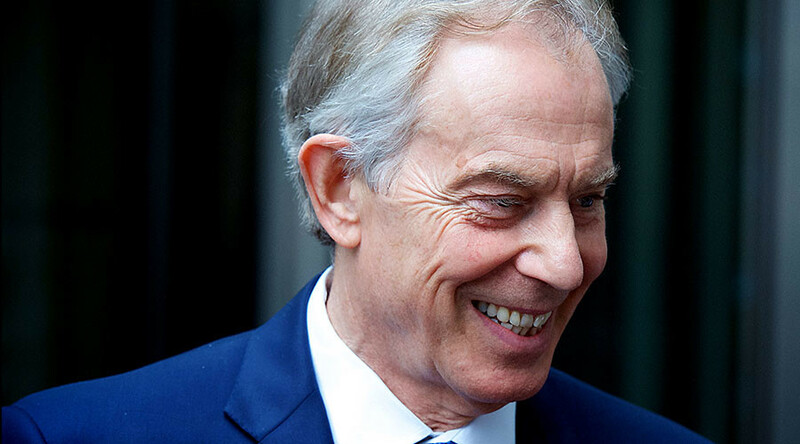 The report found that Blair misled the British public over the threat posed by WMD, which turned out to be non-existent. Blair’s arguments for going to war were “based on flawed intelligence and assessments” that “were not challenged [and] should have been,” the report said. The report also detailed the private deals Blair made with Bush ahead of the invasion. Blair promised Bush “I will be with you, whatever” long before the British public was told that he had set out on a path that led inevitably led to British involvement in the conflict eight months later. Mansfield argued that the international crime of a war of aggression had been accepted by then-UK Attorney-General Sir Hartley Shawcross QC in the 1940s, at the time of the Nuremberg trials over Nazi war crimes. Mansfield said that, as the international community had held those responsible for the Second World War to account by prosecuting those thought responsible for aggression at Nuremberg, it was the duty of UK courts to follow that example in relation to the Iraq War. Westminster Magistrates Court refused to issue summonses in November last year on the grounds that the ex-ministers had immunity from legal action – and in any event, the current attorney-general, Jeremy Wright QC, would have to give permission. The Iraq War caused the deaths of 179 British servicemen and women, and cost the UK economy an estimated £9.6 billion (US$12.6 billion). It is widely held to have caused the bloody sectarian conflict that brought about the rise of Islamic State (IS, formerly ISIS/ISIL). According to Iraq Body Count, at least 160,400 Iraqi civilians died during the war.